Campania welcomes you for your next trip: we help you choose the best area to stay in Naples! Naples, Italy’s third largest city, is populated by 968,736 inhabitants. It is the second largest Mediterranean city after Barcelona. More than 4 million inhabitants live in its agglomeration, which extends over 117.27 km², from the western side of the Bay of Naples, to the slopes of Mount Vesuvius, near the famous villages of Herculaneum and Pompeii. A densely populated city at the foot of a dangerous volcano? Let’s just say the city is playing with fire… Having inherited more than 28 centuries of history, the city was from its foundation one of the main commercial, cultural, philosophical, and political centers of the Roman Empire. Blessed with a rich gastronomic, artistic, and cultural heritage, Naples is also known for the powerful Camorra – the Neapolitan mafia -, Mount Vesuvius, and its historical landmarks. Staying in Naples is not difficult, you’ll find a wide range of accommodation options, from the five-star hotel to the cheap hostel. However, prices are higher in the summer. The Neapolitan territory consists of ten municipalities, which are divided into thirty districts around the Amalfi Coast. 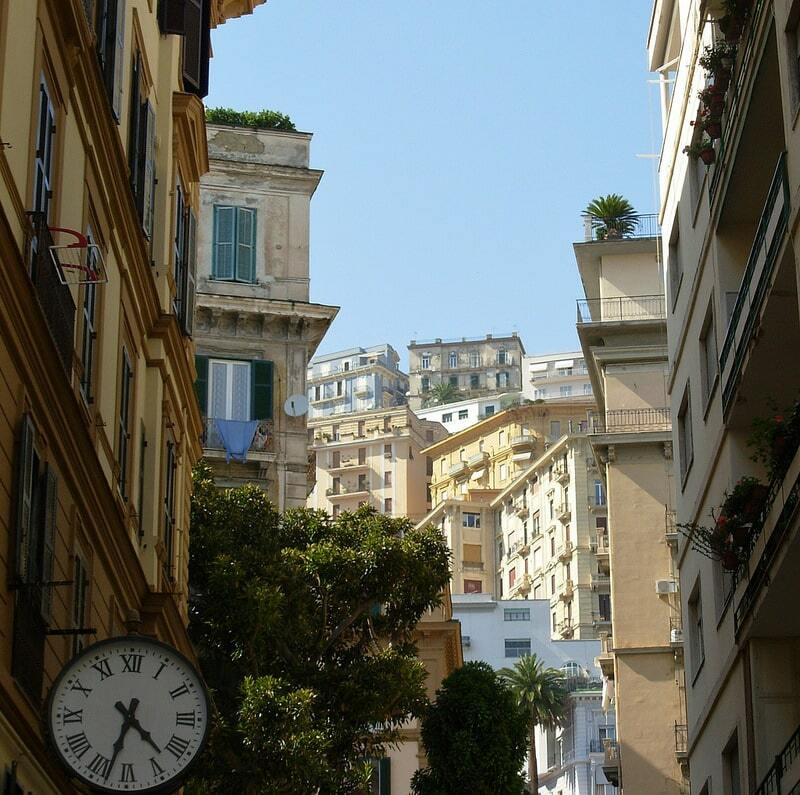 Here is a presentation of the neighbourhoods of the city to help you decide where to stay in Naples. Naples’ beating heart, the historic centre was populated by the Greeks during Antiquity. 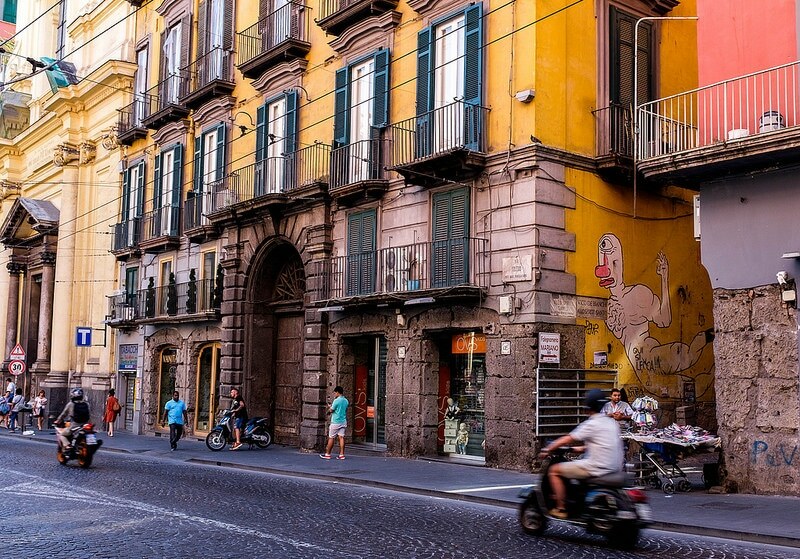 The area is into two parts by Spaccanapoli Street, which dates back to Greco-Roman times. Listed as a UNESCO World Heritage Site, the historic centre is home to more than 1,000 churches as well as countless fountains and palaces. 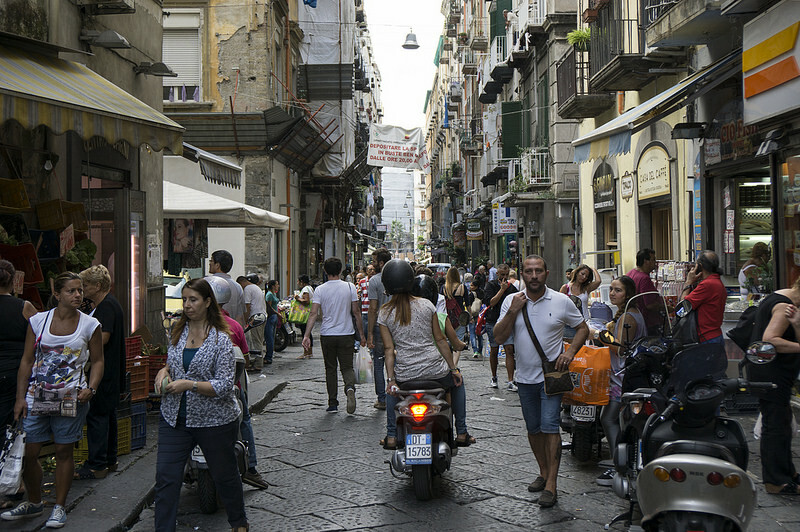 Naples’ hive of activity, the Centro Storico has it all: a range of shops and boutiques lining the Via Toledo, a myriad of places to go out to (bars, cafes, restaurants, cinemas, discotheques, etc. ), and of course many museums and landmarks. Don’t miss the National Archaeological Museum, which houses one of the world’s largest collections of Greek and Roman antiquities, including the remains of the eruption of Mount Vesuvius in 79 in Pompeii). It will also be necessary to visit the underground Naples – Napoli sotterranea -, a vast network of 80 kilometers of cavities and underground tunnels dug by Man in the volcanic tuff. Though accommodation will be among the most expensive in the city, you won’t be more central: a good compromise and one of the best places to stay in Naples. If you are not afraid to give your bank account a hard time, and if you’re keen to maybe get a glimpse of a World leader, a famous athlete or a movie star, you must stay in Chiaia. Nestled along the Bay – the wealthy would never have built their homes on the slopes of Vesuvius… -, this is Naples’ upscale neighbourhood, filled with a plethora of luxury hotels, high-end shops, and jet-setter bars. But there’s more here than just pure bling. Take a moment to appreciate the refined taste of Italian wine in one of Chiaia’s lovely wine bars, where food is served with a glass of wine. Chiaia is also favoured by the Neapolitan youth who frequently gathers here to party at the end of the week. Ideally situated at water’s edge, you can easily go for walks on the quays to admire the seafront along the Via Francesco Caracciolo.